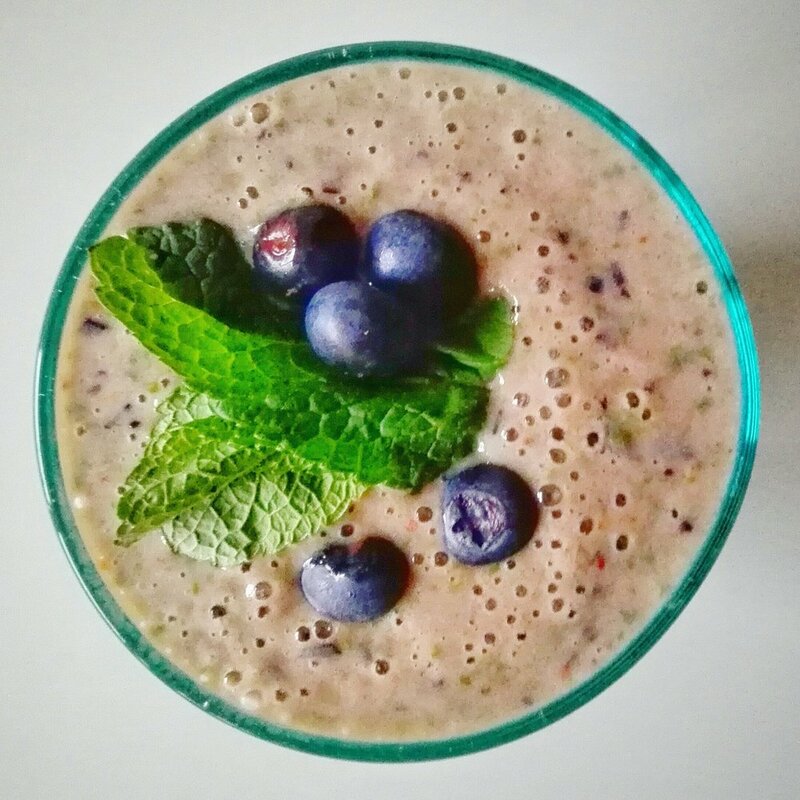 The 3 Happiness Smoothies You Have To Try-The fit sisters. Be a believer! No jokes, this isn't placebo. These 3 smoothies will make you happy people. And if you're happy you're good to yourself, and you're good to others around you. And then you're getting closer to be physically and mentally fit. For the day. A little bit. It's best early in the morning, but they're great for late afternoon as well. You know that time when you feel you can eat the world? Just have one of those. If drinking/eating raw vegetables is not your thing, you can start with this one to train your taste buds. I promise it's yum. dried cranberries for sweetness, and coconut flakes to make it look like a desert (winking at you). Check the consistency you like, you can add coconut water or almond milk. This is so refreshing. It sounds very green, but tastes like summer. berries to make you forget, this is green. So you can find happiness in anything you choose anyway. But if your body feels good, you can find happiness instantly everywhere around you. This is more of a recipe post, but you know how I feel about food. You take care of your body, your spirit will follow. And if not every day, every once in a while. See how you feel. Let me know if happiness kicks in!